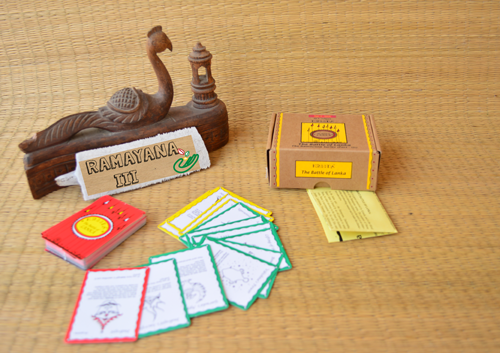 This is the third and concluding part of the Ramayana series. Vibrant, colorful and well illustrated, the game cards talk about characters, events and battles. The game provides children the opportunity to make up new ways of playing it.